The Many Ways to be a Benchmark Fundraiser!!! BoxTops - We would like the "dimes" out of your trash! Have everyone you know collect the box tops starting today! If you happen to buy items with BOXTOPS, don’t throw them away without removing the BoxTops! Benchmark earns 10 cents per BoxTop. Shop Online – Shop at your favorite online stores through the BoxTops Marketplace at: boxtops4education.com/marketplace. 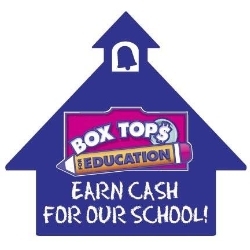 Up to 15 eBoxTops per $10.00 spent on qualifying purchases is automatically donated to our school, at no additional cost to you! Plus, you'll get exclusive BoxTops deals and discounts! If you have "Bonus" BoxTops you MUST read BoxTops Bonus Rules (see below) before submitting. **Collection deadlines are posted on each classroom's BoxTops collection envelope. Dinner Night Out (DNO) - Take the Night off From Cooking and Help Benchmark! DNO is a fundraising program designed by the Benchmark PTO to boost school community and spirit all while enjoying great food and family fun. There will be activities planned throughout the year, as well as lunch/dinner options that fit your family’s schedule. Your family can choose from the activities and restaurants for each DNO. Mark the dates on your calendar. Blasts will be sent out prior to events. Restaurant flyers are available for download from the school calendar or this page. Shop at AmazonSmile - Benchmark get's a % of your sales!